3 Kinds of Sleep Problems — Which One is Keeping YOU Awake? I wake up every morning feeling tired. I have trouble falling asleep at night. I can't stay asleep once I do fall asleep. Keep reading to discover a natural way to put the brakes on these frustrating problems — and start enjoying deep, refreshing sleep every night! If you suffer from any of the sleep problems listed above, I have great news for you. Scientists have discovered the underlying cause of each of these common sleep problems—along with a simple way to limit them so you finally get the deep, refreshing sleep you deserve! My name is Dr. Frank Shallenberger. I know plenty of my patients and Second Opinion readers suffer from these frustrating sleep problems. But many popular sleep remedies—such as melatonin or valerian—often don't work. Sometimes they even leave you with a "hangover" the next day. There's a reason these remedies don't work. It's because they don't address certain changes that take place in your body as you age. These changes can keep you from falling asleep easily…staying asleep through the night…or waking up refreshed and energized. There's nothing more refreshing and energizing than waking up from a night of deep, revitalizing sleep. Unfortunately, that top-of-the-world, well-rested feeling can happen less often as you age. Take for example Elsa, an active, 68-year-old woman. Elsa thought she was getting enough sleep each night. But when she woke up in the morning, she felt tired and groggy. She noticed she was more easily distracted and forgetful. And that "fuzzy-brained" feeling stuck with her all day. Elsa tried getting more sleep, but it didn't matter. She'd still find herself exhausted and living on cup after cup of coffee just to get through the day. She couldn't figure out why she was so tired! During REM sleep, two things happen that are crucial to keeping your mind and body functioning at their peak. First off, brain activity is very high during REM sleep. In fact, brain wave patterns during REM sleep are similar to those during wakefulness. This high amount of brain activity explains why you do your most intense dreaming during REM sleep. Dreams are one of the ways your brain consolidates memories. During dream time, your brain can reorganize and review the day's events. It also connects new experiences to older ones. That's why getting enough REM sleep can enhance learning as well as memory. The second thing that happens during REM sleep is that your body's muscles completely relax. This state of relaxation allows you to feel energized and rejuvenated the next morning. As you can see, REM sleep is crucial to helping you feel sharp, healthy, and well-rested during the day. But if you're getting plenty of shuteye and still waking up tired, it may be because you're not getting enough REM sleep. Harvard researchers say you may be getting less than 24 minutes a nightof health-restoring REM sleep! Harvard researchers say by the time you reach age 65, you're spending less than 5% of your time each night getting deep, rejuvenating REM sleep.1 That comes out to less than 24 minutes a night if you sleep for eight hours. This lack of health-restoring REM sleep leaves you drowsy and fatigued the next day. It makes it hard to focus, remember names, or recall where you put your car keys. 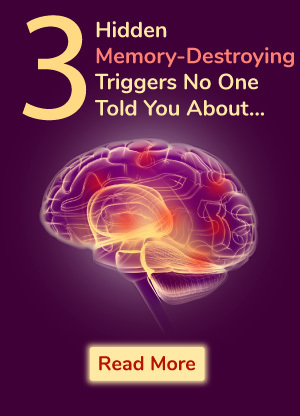 Even worse, it can do lasting damage to your memory. In a recent study published in the Annals of Neurology, researchers looked at more than 600 people aged 70 to 89 who suffered from a common sleep problem. The sleep problem was keeping them from getting enough REM sleep. You can see how important REM sleep is for your brain and memory. No other type of sleep has more of an impact on the way you think, feel, and perform each day. Yet chances are you're barely scraping by with a fraction of the REM sleep you need to function well—and keep mental decline at bay. In a moment, I'm going to tell you about an easy way to increase the amount of REM sleep you get each night so you can feel sharp and well-rested each morning and protect your brain as you age. But first, let's take a look at what may be causing a second common problem you may be facing: trouble falling asleep. If you're like Robert, you may have trouble falling asleep at night. Robert used to lay in bed dog-tired…while his "busy brain" went into high gear. Every night he'd go through the same mental checklist: bills, kids, work, and whatever else was stressing him out. Perhaps you also find yourself lying awake tossing and turning. 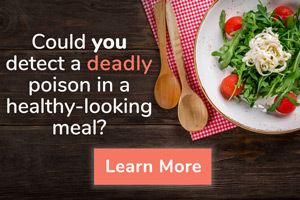 If so, it could be because your brain produces lower amounts of brain-chemicals called serotonin and GABA as you age. Your brain relies on these sleep-inducing brain chemicals to pass along messages and signal emotions, like the feeling that you need to sleep. Serotonin is one of the most important brain chemicals for regulating the sleep/wake cycle. One of its main jobs is to signal your brain that you are sleepy. That's one reason why low serotonin levels can disrupt your sleep or keep you from falling asleep altogether. So you lay in bed wide awake no matter how exhausted you may be. The other key brain chemical you need for a good night's sleep is gamma-aminobutryric acid, or GABA. GABA has a calming and relaxing effect, and readies your mind and body for sleep. That's because GABA suppresses excessive brain activity—in fact, it's like the "brakes" of your brain. It helps put a stop to those racing thoughts that can make you feel anxious and keep you up at night. But when you're short on GABA, your thoughts and worries run amok. This was proven in a study at Harvard Medical School. The study found people with sleep problems had 30% less GABA in their brains than those who slept normally.6 Other research shows a GABA deficiency interferes with the deep "delta" sleep that usually begins within 45 minutes after bedtime. What's more, a lack of GABA can keep you from enjoying deep, restful sleep. That's because GABA promotes alpha waves in the brain. Alpha waves normally occur when you're feeling relaxed. They help offset beta waves that take over when your brain gets too "busy". Have you ever awakened during the night and couldn't fall back asleep again? This would happen to Carol almost every night. She used to be able to sleep through anything. But over time Carol had become a light sleeper. The slightest noise would awake her—like an acorn dropping off a tree onto her backyard deck. Her husband's snoring, which she used to find soothing, started to drive her crazy. And on those nights when she had to get up to use the bathroom, it was nearly impossible to fall back asleep. Why do some of us wake up so often during the night? According to the National Institutes of Health (NIH), older adults are much more likely to be light sleepers.7 That's because you spend less time in deep REM sleep and more time in the lighter phases of sleep—when you're much more prone to sleep disturbances. When you're a light sleeper, there's plenty to disturb your sleep besides outdoor noises or a spouse who snores. For example, your leg may ache or move on its own, which can wake you up at night. Treatments you're taking for other health conditions can also interrupt your sleep. Or perhaps you find yourself worrying about yours or a loved one's health, your finances, or your children or grandchildren. If you wake up during the night, these worries can trigger that "busy brain" that makes it hard to fall back asleep again. I just explained why you may wake up tired, have trouble falling asleep, or awake during the night. Most doctors aren't aware of or simply overlook these common, age-related changes that rob you of sleep. And most sleep remedies I've seen do NOTHING to reverse these hidden sleep stealers. But here's the good news: once you address these underlying causes of sleep problems, you can fall asleep quickly and enjoy the deepest, most blissful sleep of your life—without risky conventional therapies. That's because I've discovered a combination of natural nutrients that can work wonders for these common, age-related sleep problems. These nutrients help correct your body's sleep patterns so you spend more time getting deep, health-restoring REM sleep. They help boost your body's production of serotonin and GABA to make it easier to fall asleep. And they address some of the common health concerns that keep you awake at night—like leg cramps, stress, and much more. As I mentioned before, your sleep cycle changes as you age, causing the amount of high-quality REM sleep you get to plummet to just 24 minutes a night or even less. But there's something simple you can do to increase the amount of REM sleep you get each night, no matter what your age. You can take a natural nutrient called 5-Hydroxytryptophan, or 5-HTP for short. Research shows this naturally occurring amino acid improves your quality of sleep by extending the REM phase significantly. It also increases the deep sleep stages of non-REM sleep without increasing total sleep time. That means if you're only getting 24 minutes of REM sleep a night, you could get more than 36 minutes…or if you currently get one hour a night, you can get at least 90 minutes of rejuvenating REM sleep. Let me tell you—this extra amount can make a real difference in how much more rested and alert you feel. You'll wake up every morning feeling like a million bucks! As I mentioned earlier, there's an often overlooked reason your "busy brain" may keep you from falling asleep easily at night. It's because you're not producing as much serotonin and GABA as you did when you were younger. You need enough serotonin to keep your sleep/wake cycle in check, so you can fall asleep and stay asleep. At the same time, you need enough GABA to calm your mind and relax. Yet most sleep supplements I've seen do nothing to address these brain chemical deficiencies. Fortunately, there are two powerful nutrients I recommend that can help boost your body's levels of these sleep-promoting brain chemicals. The first one I just told you about: 5-HTP. This naturally-occurring amino acid plays a key role in helping your body make serotonin. Serotonin is important for helping you sleep. But it's also a "feel good" brain chemical. It not only affects your mood, it's one of the most important brain chemicals for helping you fall in love. That's why some Italian researchers decided to look at 5-HTP's effects on a group of healthy young adults. All of them had recently experienced romantic stress, such as a break-up. The researchers measured the participants' serotonin levels. They also had them complete a list of questions gauging how well they were coping with their situation. Then they had the participants take 5-HTP for six weeks. As you can see, taking 5-HTP can help your body produce more serotonin. But you can raise serotonin production even more when you take 5-HTP with vitamin B6. In fact, laboratory research shows taking vitamin B6 can increase serotonin production by as much as 60%.12 The reason for this dramatic boost is simple. Vitamin B6 is required by your body to make serotonin. 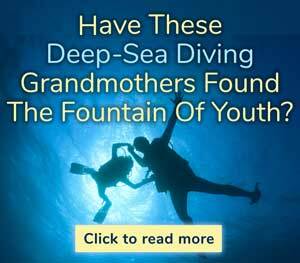 Yet many older adults suffer unknowingly from a deficiency of this crucial vitamin. Wake up refreshed and energized! "I really love all of Advanced Bionutritionals' products. I have struggled with sleeping for years now and I have tried some products that helped but left me groggy the whole next day. Others had some pretty intense side effects. Advanced Sleep Formula really does everything I could ask for. I fall asleep quickly and I don't toss and turn throughout the night. Best part is, I wake up refreshed and energized for the day." Now, what about those lagging levels of GABA? As I explained earlier, GABA is another brain chemical that's essential to helping you fall asleep. That's because it promotes relaxation and shuts down the racing thoughts that fuel your "busy brain." You can boost your body's levels of this calming brain chemical by taking GABA as a supplement, as long as you take a high-quality form. It's the best way to replenish levels of this sleep-inducing brain chemical. It works fast, too. One human study found that GABA's relaxing effects could be seen within the first hour. Combats stress and anxiety, too! Another study found GABA can combat stress and anxiety. The researchers wanted to see if taking GABA would boost the body's response to stressful conditions. So they took a group of people—each of whom had a fear of heights—and gave them what might be the ultimate "stress test." They had them walk across a long suspended bridge that spanned a 150-foot high canyon! Before they walked across the bridge, half the people took a GABA supplement and the other half a placebo. The researchers gave a saliva test to each person before and after they crossed the bridge to measure antibody levels. Typically, during times of stress, these antibody levels drop. Helps me slip off to dreamland! "Advanced Sleep Formula works! It's less expensive than some other formulas, and it's good. It helps me slip off to dreamland and sleep well all night." 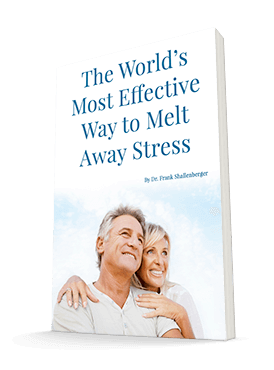 You can see how GABA can be a powerful antidote to stress. But to get the best results, you want to take it with an amino acid that can carry it across the brain-blood barrier. That's why I also recommend taurine, which increases your body's GABA levels and is an excellent stress buster on its own. A recent study in the Journal of Neuroscience found taurine increases the number of GABA receptors in your brain. This helps boost levels of this brain chemical. They also found taurine calms neurons, or brain cells,15 helping you feel more relaxed. Whether you hurt too much, worry too much, or your leg sometimes has a mind of its own, certain nutrients can help you keep these common problems from stealing your slumber. For starters, if you're feeling stressed or anxious, you'll want to take three of my favorite calming nutrients: L-theanine, Niacinamide and Passion flower extract. L-theanine is a naturally occurring nutrient found in the Camellia sinensis plant. Research shows it has an amazing power to soothe and quiet your brain. One Japanese study found people who took 50 mg of L-theanine significantly increased alpha wave activity.16 So not only does L-theanine send you blissfully off to sleep, it quiets your busy mind so you can sleep peacefully through the night. Niacinamide, better known as vitamin B3, can also help you relax, sleep better, and lower the anxiety caused by stress. Research shows it can have a sedative-like effect. The other nutrient I recommend that can help you slip off to dreamland fast is called passion flower extract. It's particularly helpful for coping with hormonal changes. That's because passion flower combats the increased cortisol levels and other sleep disturbances often linked to hormonal changes in both men and women. There's one other nutrient I recommend for good sleep. It's particularly helpful if aches and pains sometimes wake you up at night, or your leg moves or cramps up. 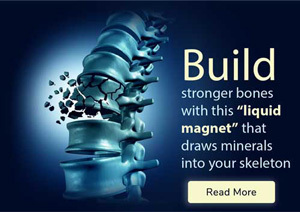 It's magnesium…a crucial mineral many people don't get enough of. No more trouble falling back asleep! "I wake up in the night because I have adrenal fatigue. Before I was unable to fall back asleep but now I can, after taking Advanced Sleep Formula. 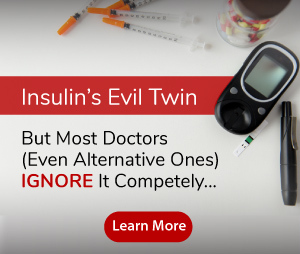 And I noticed a difference as soon as I started taking it." Magnesium promotes normal muscle and nerve function. So it naturally relaxes any tense muscles in your body. And research confirms it can help ease leg cramps or unintended leg movements. 5-HTP increases the amount of revitalizing REM sleep you get each night by more than half. L-theanine, niacinamide, and passion flower extract combat stress and anxiety so you sleep blissfully through the night…and magnesium helps ease leg cramps or unwanted leg movements so you enjoy fewer sleep disturbances. 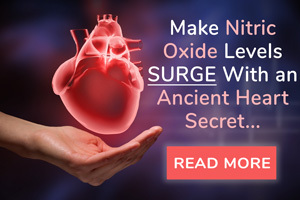 By taking this combination of nutrients, you can fall asleep more quickly, wake up less often during the night, and sleep more deeply than you have in years! You can find many of these nutrients at your local health food store, although some can be hard to find. Of course, you have to make sure you're taking the right forms and potencies of these nutrients or you may not get as good of an effect. Other ingredients: Cellulose, calcium stearate, silica, croscarmellose sodium, vegetable stearic acid, and vegetable cellulose. 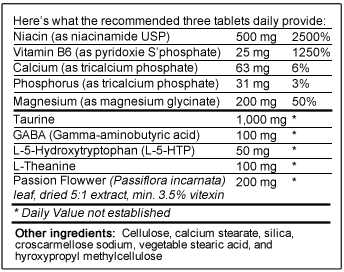 To make it easier for my patients and readers, I've put all eight of these well-researched nutrients into one comprehensive supplement I call Advanced Sleep Formula. It's a convenient way to get the ideal amounts of these sleep-promoting nutrients. And they're in the ideal potencies and best-quality forms you'll find anywhere. And think how great life will be when you don't wake up groggy and confused, with that "foggy" feeling in the morning. Instead, you can awake every day feeling alive and well-rested, thanks to the eight powerful sleep-promoting nutrients you get in Advanced Sleep Formula. And there's NO "hangover" effect to worry about like there is with valerian or other remedies. You can see how this powerful combination of nutrients can help you get the deep, restful sleep you've been missing. It's a total solution that addresses the three most common causes of sleep problems as you get older. To try Advanced Sleep Formula, simply click here to fill out the secure order form. Or call toll-free at 1-800-791-3395 (24 hours a day, 7 days a week). Once they receive your order, Advanced Bionutritionals will rush it right out to you. To save money and enjoy deep, natural sleep, day after day, I suggest you go for the 6-month supply of Advanced Sleep Formula. You'll pay just $24.95 per bottle, the lowest price per bottle. PLUS shipping is FREE. You'll save $36.95! And remember, with every Advanced Bionutritionals product, you are completely protected by a "Down-to-the-Last-Pill" guarantee. If at any time you are not satisfied with Advanced Sleep Formula, just return it for a full refund within 90 days of your purchase of every penny you paid. Advanced Bionutritionals will even pay the shipping and handling charges! You only pay return shipping. I invite you to put Advanced Sleep Formula to the test and see how it can help YOU enjoy a great night's sleep again. 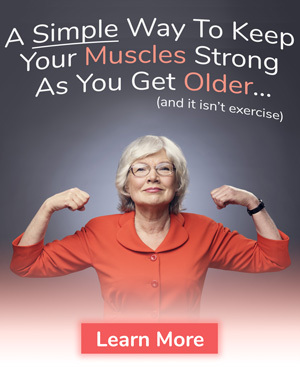 You can try this supplement for as long as you like! And you can return it within 90 days of your purchase for any reason for a full refund. There's absolutely NO risk in giving this sleep breakthrough a try. Plus you'll enjoy special savings thanks to this introductory offer. Click here for all the details! Here's to sleeping great—every night! P.S. Why toss and turn all night—when you can be getting the deepest, most blissful sleep of your life? 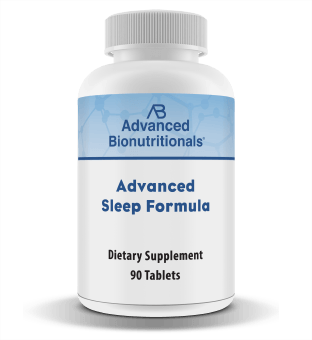 Advanced Sleep Formula gives you eight powerful nutrients that work together to solve the 3 most common reasons you may have trouble sleeping as you age. And now you can get started for as little as $24.95 a bottle! Click here or call toll-free 1-800-791-3395 to get started today.